Join us at the bar on Tuesday the 9th April for our regular brewery open nights. 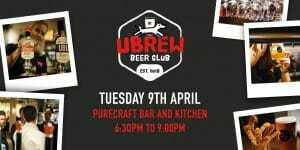 We’ll be pouring our iconic cask ales Pure Gold, UBU and Mad Goose alongside rotating Craft keg lines. Of course all the beer from our theatre of beer is fresh and in tip top condition and we’ll be firing up the BBQ in the kitchen to serve up locally sourced hotdogs and beefburgers. We would also like to invite all homebrewers with a passion for beer to bring along their latest and best brews where they’ll be shared and tasted by our team of expert brewers. 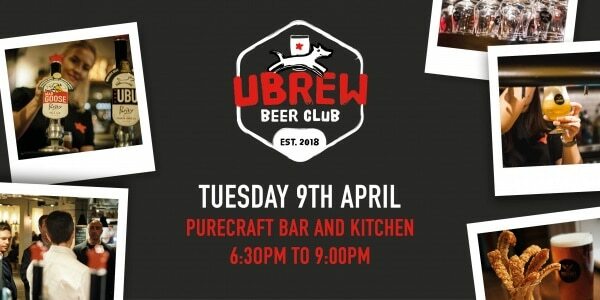 Throughout the night our brew team will be on hand to provide advice and brewing tips for those interested in learning more about how to brew award winning beer. Our last event saw Matthew Hales stout gain praise from our brewing team, Matthew will be lucky enough to join our brewers for a day at Purity and his beer will be available in the bar later in the year!